Midtown Sacramento Personal Training Success Story - Debbie B. 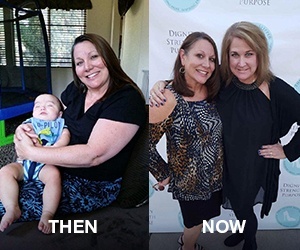 Before I started my program at California Family Fitness, I felt tired and unmotivated. I had an upcoming hip surgery and I knew that I needed to make my health a priority. If it were not for my California Family Fitness personal trainer, Matt Smith, I probably would have quit. Over the past year, Matt has been completely dedicated in helping me meet my health and fitness goals and helps to hold me accountable. From our very first session, Matt has been very attentive, encouraging, and designed a personalized program for every step of my journey. He set small, attainable goals for me each week, provided guidance regarding nutrition, and happily answered my questions. Matt was very cautious of my hip pain and always had modifications to exercises available if needed. He helped me reach and attain great health all the way to up my hip surgery on June 3rd. Being able to get back to our training sessions only 8 weeks after surgery made all the difference in getting me strong and achieving more goals. Words cannot describe the gratitude I have for having Matt as my personal trainer. He cares deeply about the success of his clients. He’s professional and understanding, and helped me stay focused on what I had to do. Now I feel lighter and motivated to continue setting health and fitness goals on my own. Along with my increased energy, I’m getting better sleep and my overall attitude for life has improved. I’m on a fitness plan for life and get into the gym four to five days a week, when in the past I was lucky to get in once a week – once every few weeks – or not at all. 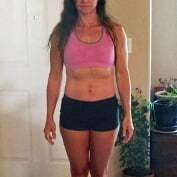 Kathleen Recovered from Surgery & Got Fit!